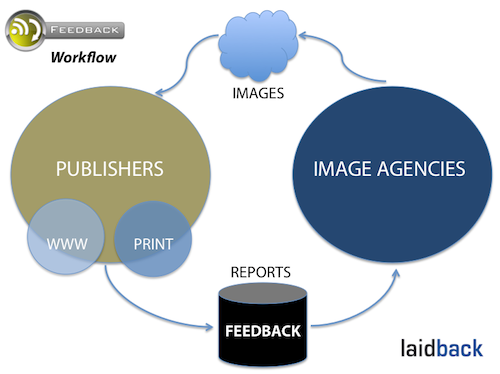 Feedback is Laidback Solutions’ effective reporting tool for use of copyright images. It is installed on a server and is used by i.e. magazines, newspapers and image agencies. 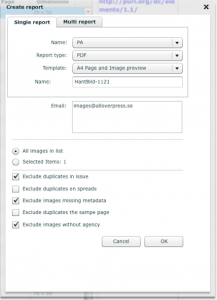 Many publications use a lot of time manually creating reports of image use for different image sources. Often this is a tedious process executed from the paper version of the magazine. Image agencies are also often faced with reentering this information into their own business systems. There is a better way – Feedback is the solution to ending this time consuming process for both parties. Publisher uploads the PDF with the finished magazine to the Feedback server. Feedback extracts the images from the PDF, extracts and handles metadata and sorts all the images by copyright holder. Any images with missing information or duplicates, or other information which may affect your reporting are highlighted. Choose the image agency you wish to report to and click report. Define your preferences for the report. The finished report can be emailed, or if the image agency has an own Feedback system, the report can be sent directly to their system! 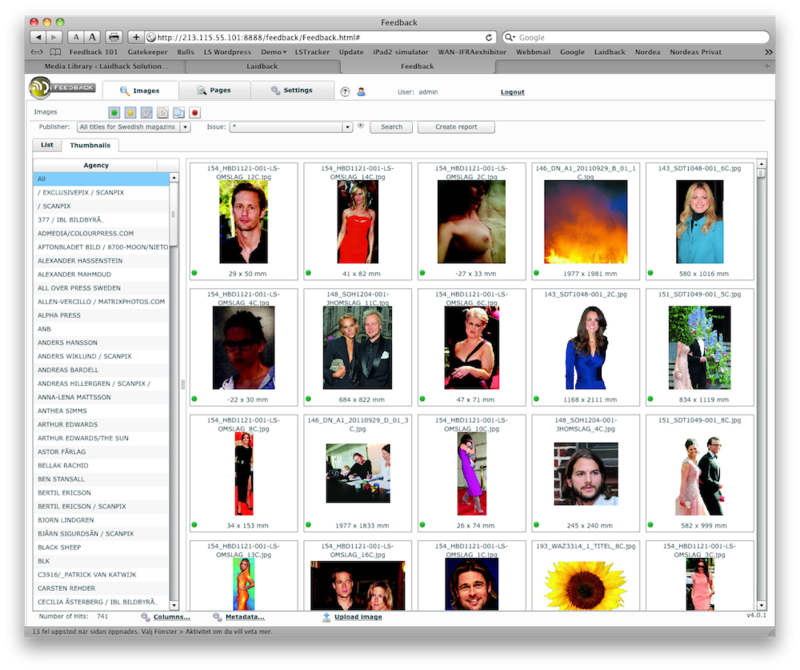 Image agencies benefit from having their own Feedback server. 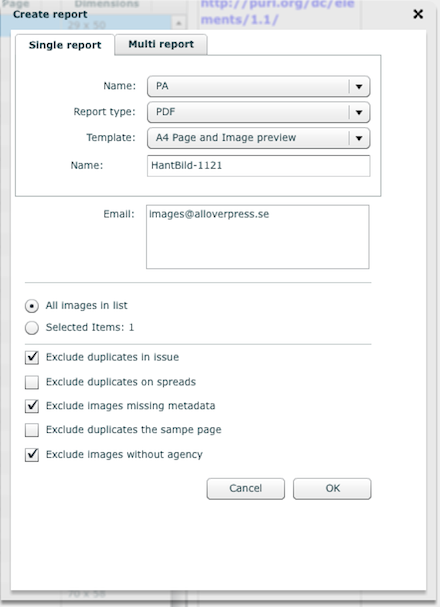 When publishers create reports in Feedback, the report can be sent directly into the image agency’s system. What about web? Feedback can import XML feeds from webpages for reporting. Files can be uploaded with the Feedback client or an ordinary FTP-client. Both client and server can be run on Windows and Macintosh. Return of investment can often be achieved within weeks.